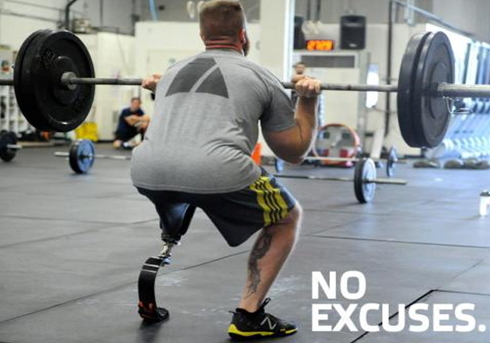 Monday Inspiration: Be Stronger Than Your Excuses! February 6, 2017 – Monday Inspiration: Be Stronger Than Your Excuses! It is victim’s mentality to hold others responsible for the situation in your own life. Niccolò Machiavelli once said, “Where the willingness is great, the difficulties can never be great”. In life, when you refuse to make excuses, you make something incredible happen in your life. People that will make maximum impact in life make minimum excuses. They understand that excuses don’t get things done. There is no use for a life full of excuses! Benjamin Franklin said ‘’I never knew a man who was good at making excuses who was good at anything else.’’ There are two things to make in life; it is either you are making excuses or you are making progress. In life, it is impossible to give excuses and still have results. Excuse empowers; it empowers our inadequacy. It empowers us to fail! A victim mind-set causes people to focus more on what they cannot control to the detriment of what they can control. It is a recipe for recurring frustration and failure. Nobody must be the reason why you fail in life. I am talking to you, yes you! Stop attaching your frustration and failures to the Nigerian system; rise beyond your excuses, rise beyond your background; determine the one thing you were created to be and be willing to pay the price to be it. Don’t use your situation to excuse yourself out of your rightful position in life and eternity. It is easy to discern victims; they are full of excuses, they keep focusing on problems rather than solutions, they are fault-finders rather than path finders. If your life is so important to you, you will find a way, if not, you will find an excuse. Learn to take responsibility and ownership of your future. The best way to predict the future is to design it! Don’t attach your life to the government. Don’t attach your life to your salary or pension. Yes, you need government to provide some things but government can’t provide you vision, purpose and direction for your life. Albert Einstein said, “If you want to live a happy life, tie it to a goal, not to people or things.” The Nigerian nation seems to be full of people passionate about justifying their situations and circumstances rather than finding real solutions to problems. A victim’s mentality is an illness of the mind, it’s antidote in one dose: take responsibility for your life and stop excusing your inadequacy. One of the most prevalent habits among the youths is their penchant for excuses. Some make excuses as if their lives depend on it! Until you cultivate the habit of living above your excuses, you will continue to live an inferior life. We really start to live, the moment we develop the strength that is stronger than our excuses. Somany people, by rejecting and excusing themselves out of taking responsibilities, have actually eliminated themselves out of any opportunity to grow. It is easier to go from failure to success than it is from excuses to success. So many people have risen beyond their ‘shabby’ backgrounds to become people of substance and great impact. Charles Dickens was lame, Helen Keller was the first deaf-blind person to earn a bachelor of Arts degree, Plato was a hunchback, Sir Walter Scott was paralyzed, Albert Einstein could not speak until he was four years of age, Franklin Roosevelt was crippled by polio and became the first president to be wheeled into the white-house on a wheel chair! I will be sharing with us a story that illustrates the need to take full of ownership of our life regardless of life’s verdict. A young chap went to a soothsayer to inquire about the hope of his future. Right before his eyes, the soothsayer drew two circles. One in white and the other in black. He then put a millipede in between the circles, saying “if the millipede crawls into the white circle, your future will be bright and very great, but if it crawls into the black circle, then you are finished and doomed! No future at all!”. As soon as the insect was dropped in between the circles, it began crawling towards the white circle. This chap was super-excited. But suddenly, as it got to the edge of the circle, it turned back and began crawling away from the white circle towards the black one. The boy watched as the insect progressively moved farther away from his desire to his doom. Then, just when the insect got to the edge of the black circle, this chap stretched his hands, picked it up and quickly but carefully dropped it in the white circle. The soothsayer in shock, never seen anyone intervenes in his own matter, watching all the while, asked the chap what he did and why he did it. The boy smiled and simply replied by saying “I cannot sit and watch my destiny go down the gloom doom! While I can still do something about it and to change its course. My destiny is in my hands”. He got up and left. Many of us are behaving like the flip side of this chap. We leave too many things to chance. We are laid back. We Watch things messed up right under our nose and we do nothing to change the course of what we can help. Many pray without a corresponding and conscious effort, forgetting that faith without works is dead. What you don’t want, you don’t watch; if you do nothing, nothing will happen. Mark Rebel said, “Success occurs when your dreams get bigger than your excuses”. If you are an entrepreneur, realize that people don’t pay for excuses, people pay for services. You can make excuses or you can make progress, the choice is yours! Once you realize that you are the only one holding yourself back, you’ll stop making excuses and you will start making changes. Nobody owes you anything; you will have to earn it. There are no failures in life, only excuses. My fellow Nigerians, ask not what your country can do for you, ask what you can do for your country! This is good and encouraging. God bless you and increase your wisdom. Mr Gbenga God bless you more for this write-up.